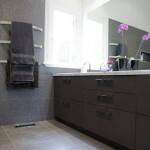 Lights, cabinets, wallpaper, mirrors, and even towels can be considered part of bathroom decor. The wise home owner would do well to consider all these things when transforming the bathroom into a humble abode for all in the house to use. Actually, adding items that speak directly to the larger character of the house itself is one way to develop a decorative scheme that works. For example, in a house with multiple bathrooms, men and women might use an animal-themed shower curtain for each different room. 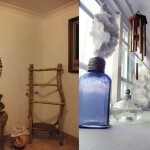 This is one way to keep to a general theme for the house, while employing variations on that theme. Guests will likely notice these things and will enjoy them. 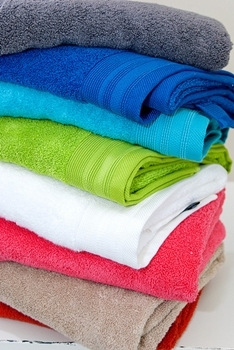 Many people have specific sets of towels that are used for different things. For example, older towels that are starting to lose their luster a bit might be downgraded for use only by current members of the household. The better towels will be reserved for visitors who are staying overnight. Beach towels, in particular, might only be brought out during the warmer months when individuals are swimming in the backyard pool or using the hot tub. All towel sets come with matching hand towels and wa e to deploy the whole set at once in the bathroom. Mixing and matching sets is possible for informal use, but this tends to look sloppy over time. If a set is missing one or another item, there are plenty of retail stores where these can be picked up. 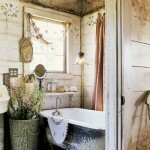 Lights, too, add character to the overall bathroom decor. Fluorescent lights are a bit too harsh for some people, though they may be ideal for putting on make-up, shaving, or plucking eyebrows. 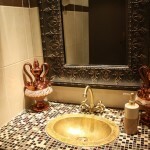 Generally, however, most people will prefer a soft yellow glow in their bathrooms, especially during the evening. There are special light bulbs that can help with this so that the ambient light more closely matches the desired mood. Most light fixtures can be mounted on either side of the mirror, usually residing above the sink. Placing a light on both sides helps with the overall symmetry and generally improves the look of this section of the bathroom. Depending on the exact style that home owners prefer, they might even go for intricate Victorian light fixtures. Bathroom mirrors, as far as the glass goes, are pretty standard. The edges, however, might be jazzed up in a number of ways, from gold and silver to expensive wood. If a family does not currently have the cash for one of these, they might simply go with a hand mirror, which will still do the trick. 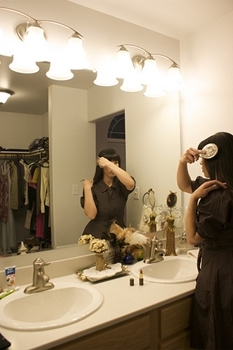 Hand mirrors can be placed on the sink but are small enough that they can be folded up and stored when needed. 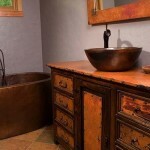 The overall bathroom decor can take a number of different pathways to success. The only real rule is for people to stay true to themselves and their style. If they do this, they should complete the project and be proud of the results. 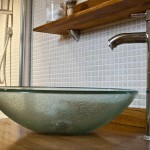 This guest post was written by Amanda Smith, who frequently blogs about bathroom decorating ideas for homeowners. My partner and I absolutely love your blog and find the majority of your posts to be exactly what I’m looking for. Does one offer guest writers to write content for you? I wouldn’t mind creating a post or elaborating on many of the subjects you write related to here. Again, awesome weblog!